Somewhere between the bulky utility of a laptop and the convenient size of a smart phone is the new world of the computer tablet. Apple's revolutionary iPad helped the tablet market to a great extent and now many companies have realized the potential of tablets and have either released or announced their tablet lineups. Tablets are announced as offering the ideal combination of portability and practicality, but if you've already got a laptop or netbook and a smartphone, there's little more you can do with a tablet. 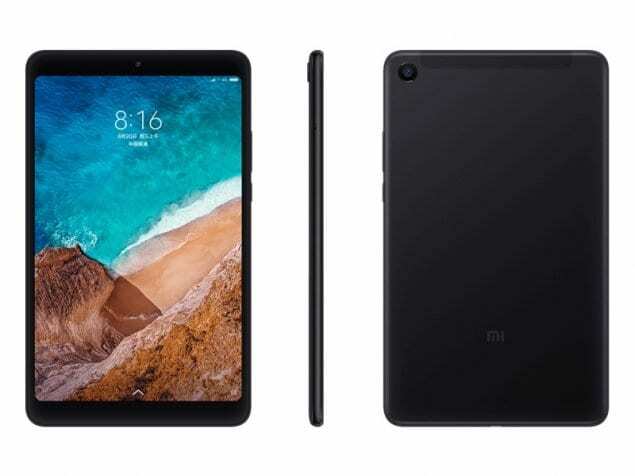 One of the best features of tablets, however, is that they are fast to switch on and load, making them ideal for occasional web browsing, rather than waiting for a laptop to boot up. The small, lightweight tablet is easier to carry around and to travel with than its bigger, heavier cousin, the laptop. About the size of an e-reader, it fits comfortably into a purse, backpack or small briefcase. For simple jobs like general word processing, VOIP messaging, or email, this new product is becoming increasingly popular. Although the flat screen in slate mode doesn't have a keyboard, on certain models, information can be entered by using the tablet pen or the voice control. Some tablets offer an optional wired keyboard dock or a USB portal for connecting to an external keyboard. Convertible models look more like a laptop with an attached stiff keyboard. Those who use the tablet in college classes or business meetings appreciate its presence as being both less conspicuous and less visually blocking as the more cumbersome lift-top laptop. Fans and regular users of the new tablets insist that writing down meeting or lecture notes, noting important appointments or dates, and even sketching out ideas before they slip away can help you become more organized and productive. It is even possible to receive faxes, fill them out, and send them on without ever printing them. Tablets can also be used as voice-over-IP telephone systems. So if you want to enjoy all the experiences above, buy one. The usability of the tablet will heavily depend on the choice of platform. You should check which platform it runs and how many applications are available for the platform before you buy. Apple iOS: Like iPhones, the iPad runs Apple's iOS operating system - a simple, intuitive interface, which also gives access to the App Store. There are a lot of good quality applications and games optimized but most of them are not free in App store. There's also a problem of Flash - it's lack of Adobe Flash support and iOS is a closed platform that has many restrictions like bluetooth file transfer. Google Android: Most other tablets run variations of Google's Android operating system. This open-source software can be customised, optimised and tweaked by tablet manufacturers to suit their own specifications. The latest version - Android 3.0 - named 'Honeycomb' is the first version of Android to be optimised specifically to run on just tablets, and it includes 3D graphics, multi-tasking, video chat and a smooth animated interface. When choosing an Android tablet it's important to take into consideration which version of the Android OS it runs on, and whether the manufacturer has committed to allowing it to be upgraded to newer versions. Microsoft Windows 7: Though Windows is primarily designed for PCs with keyboards, numbers of tablets are now being launched that run Windows 7 via the touchscreen. The advantages of Windows are that most users are already familiar with its interface and the vast array of compatible software that will run on the Windows operating system. Also, Microsoft stated that, Windows 8 will work on a variety of hardware including System on Chips (SoC) based on ARM processors. It is also rumored that Microsoft is planning to release a tablet friendly version of Windows 8. QNX OS: Research In Motion announced a 7" BlackBerry PlayBook tablet. It features the BlackBerry's own QNX operating system, is HTML5 and Flash-compatible, and should offer many of the business-oriented features that make BlackBerries so popular in the workplace. Palm's WebOS: HP's tablet is based on Palm's WebOS which was considered as one of the best touch friendly mobile operating systems. HP plans to integrate this platform to PCs as well to attract developers and hence the application availability, But until now the number of applications is limited. Screen Size & Resolution – The screen size should be balanced for portability and usability. A 5" tablet is too small to be considered as a tablet and at the same time a 12" tablet is not good for portability. You should also aware that the suitable screen sizes can be misleading. On paper, the difference between a 7" and 10" screen may seem trivial, but in reality, a 7" design is around half the size of a 10" tablet. As for screen resolution, the higher the better. Many tablets come with a resolution of 1280 x 800 pixel which is same as most of the 14 or15" laptops. Touch Screen – Tablets with resistive touch screen are very cheap but it is not finger friendly and you'll need a stylus for operating it properly. Tablets equipped with capacitive touch screens will cost more but allows multiple fingers to be registered by the screen at one time, giving intuitive ways of manipulating the on-screen display such as 'pinch to zoom'. So, if you want a better tablet experience, always buy one with a capacitive multi-touch screen. Ergonomics – We'll try to list some important aspects of ergonomics, you can do some tests before you buy. Please check out: are the buttons/switches easily accessible? Does it cause any difficulty in landscape or portrait orientation? How easy is it to use the device with one hand (by holding the device in one hand and operating it with the other hand)? Battery Life – Apple's claimed battery life for the iPad is 10 hours, but in real-world use the battery lasts for closer to six hours. Watching videos or browsing the web are likely to drain the battery even faster. Smaller tablets can have an even shorter battery life. Characteristics such as internal memory size, Wi-Fi or 3G, and the amount of apps available have to be taken into account when choosing your tablet. Minor aspects such as the amount of USB slots, whether the unit has a SD slot, a webcam, a built-in voice command ability or not, have to be considered as well. Choosing the right tablet ultimately depends on the primary purpose behind buying one in the first place. Customer satisfaction seems related to the willingness to learn how to use this new technology correctly for maximum effectiveness. alaTest.com has collected and analyzed millions of reviews from 2772 sources to help you choose the best Tablet Computer from top brands like Apple, Microsoft, Huawei, Samsung, Lenovo and more.